In the US Army, units and individual teams are given call signs to avoid giving away identities over enemy radios. The number after the call sign signifies your role within the unit. The number 6 is the command element. In 2003-2004 an elite Army Infantry unit, call sign "Scorpion" roamed the mountains of Afghanistan looking to make friends with the locals. This is where Scorpion 6 came from. After leading over 26 successful operations and countless patrols I exited the US Army with an honorable discharge and went into the automotive field. While in the automotive industry I had the ability to work in all areas from sales to racing, technician, parts and service. Going to bigger and faster machines I graduated into the aviation field where I spent the majority of my time servicing and handling private jets. A few more years passed and I started working for a knife manufacturing company. During this time period I learned an overwhelming set of skills from other great craftsmen ranging from grinding to machining to advanced folding knife assembly. After a few years of experience I wrote and produced a manual for free hand grinding and assembly as well as introduced methods for advanced repair and custom finishing techniques. 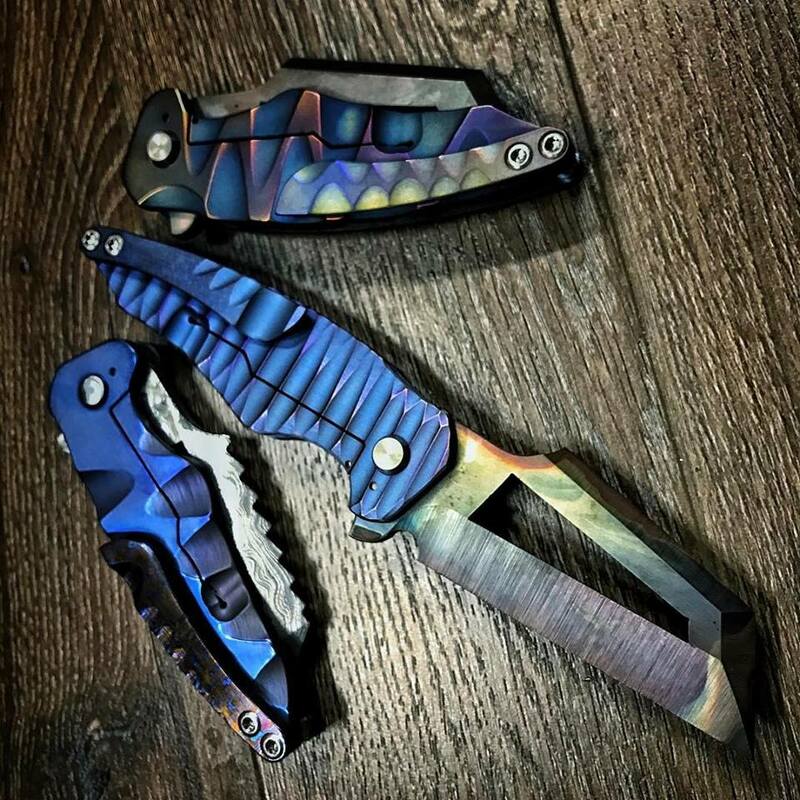 It was at this pinnacle, I decided to branch out on my own and create Scorpion 6 Knives. My purpose is simple and unique. I want to bring precision hand built pieces of art to the customer that can be carried into combat or showcased on the shelf. Lifetime Warranty against manufacturing defects. Change your options up until the day it ships.